The leading insurer for live entertainment is moving to a different beat in the insurtech space. ProSight Specialty Insurance, which launched its online platform with insurance for DJs earlier this year, stresses that it is taking a different approach from a typical startup. Since its founding in 2009, ProSight has grown to become the number-one insurer for live entertainment such as touring bands and DJs, but that’s just one of its nine niches. Based in Morristown, New Jersey, the company also provides coverage in construction, consumer services, marine and energy, excess workers compensation and four other areas. ProSight posted gross written premiums of $275 million in the first quarter of 2018 and $819.5 million for all of 2017. As it starts up its ProSight Direct online platform, the company plans to expand beyond DJs with coverage for personal training, health and wellness beginning this fall. Darryl Siry, ProSight’s chief digital officer, says the company, having established itself as a successful insurance business, is not under pressure to show rapid growth to raise cash in successive funding rounds. ProSight launched its online platform with DJs because live entertainment is a business it knows well, as it already insures 50 of the world’s top 100 DJs. DJs want a platform optimized for mobile to handle tasks such as obtaining and providing certificates of insurance for venues. 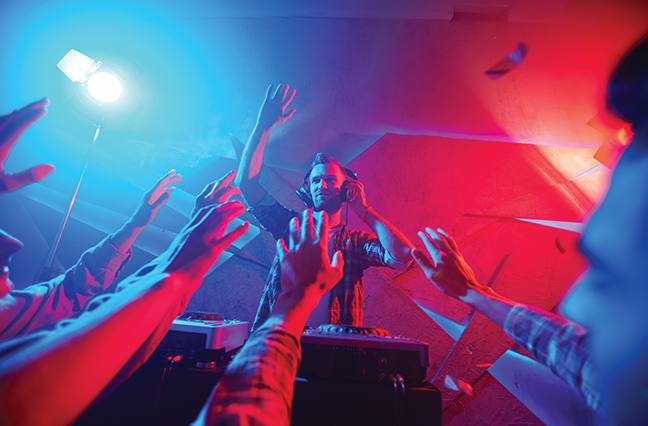 The DJ market also sets the stage for the expanded rollouts in the fall in specific niches. “The goal is to stabilize that technology platform, to learn with real customers on the platform, to ensure that we can manage the risk online effectively before we launch in the fall with a much larger target market of personal fitness and health and wellness,” Siry says. DJs, personal trainers and yoga instructors are part of the larger gig economy of non-employee businesses that accounts for a large and growing share of the workforce. Intuit estimated that gig economy workers made up 34% of the American workforce in 2017. Siry says the broader spectrum of non-employee businesses represents a $7 billion market opportunity tailored for an online platform. Start-up Verifly is also taking aim at the gig economy, targeting the more than 60 million Americans expected to be working independently by 2020. The New York-based company has launched on-demand, by-the-job insurance for freelance workers in construction, personal services such as photography, as well as events, entertainment and other areas. Freelancers often find that clients demand insurance for jobs that may last just a few hours, but insurance is typically sold by the year. The Verifly mobile app enables freelancers to buy “bite-sized” insurance, underwritten by Markel, for single jobs for as little as $5 for one hour and $1 million of business coverage. Launched in 11 states, Verifly’s app enables freelancers to select coverage from a single hour to a full month and obtain insurance certificates for their clients. Nationwide coverage is expected by 2019. “The expansion of the gig economy has put the insurance industry on notice — innovate now or risk being disrupted or made irrelevant,” says Scott Whitehead, managing director at Markel Digital.